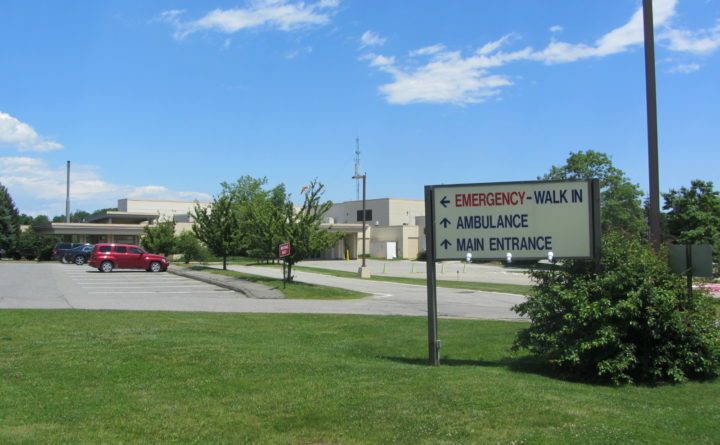 ROCKPORT, Maine — After several years of significant financial losses and a recent low hospital grading, officials at Pen Bay Medical Center are hoping a small surplus and the expansion of services will help move the hospital forward. The surplus gained in 2018 comes after losses of $6.6 million and $9 million, in 2017 and 2016 respectively, according to Coastal Healthcare Alliance data. Drinkwater and Fourre attribute the financial progress made last year to Pen Bay Medical Center calculated expansion of services, especially increasing the number of primary care providers in its network. The hospital’s gastroenterology and pediatrics departments also expanded, but Fourre said by increasing the number of primary care providers they were able to increase the number of patients in the system, and therefore revenue. In previous years, Fourre said patients and doctors had identified a lack of primary care providers in the Camden-Rockland area as a significant concern. The growth in services paired with $2 million worth of expense reductions, Drinkwater said. Another $2 million expense reduction goal has been set for 2019, she said. While Fourre declined to share details about the operating budget for 2019, a “break even” goal has been set for the year, and so far, he said the hospital is making good strides toward meeting the goal. Apart from finances, hospital officials are hoping Pen Bay Medical Center can improve upon the “C” grade it received in November from the Leapfrog Group, which tracks the quality of hospitals across the country. The most recent grade brings the hospital down from a previous ranking of a “B.” The “C” grade was based on hospital data from 2015 and 2016. Hospital officials have said that a part of the reason for the lower grade was a coding error that indicated an object was left in a patient during a surgery, which was not correct. Fourre said they have filed an appeal on this coding error. Other factors that led to a lower score were patient falls and “dangerous” bed sores, according to the Leapfrog Group report. In a larger attempt to expand and improve patient services, Fourre said ground could be broken this year on a $16.5 million physicians’ office complex on the Pen Bay Medical Center campus in Rockport. The project has been planned since 2017, and Coastal Healthcare Alliance is currently working toward the capital campaign goal, which Fourre said they are getting close to reaching. The 41,000-square-foot building would house a variety of physicians, including a pediatrics suite, family and internal medicine, as well as mental health providers, including treatment options for substance use disorder, Fourre said. Off the Rockport campus, Fourre confirmed the Pen Bay Medical Center is exploring the possibility of an urgent care facility in Rockland. Fourre said this project is far from set, but that it’s one of numerous opportunities Coastal Healthcare Alliance is considering.